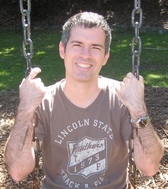 The holiday is over and time to fly back to Sydney. It was a good holiday, enjoyed the first trip to Thailand. 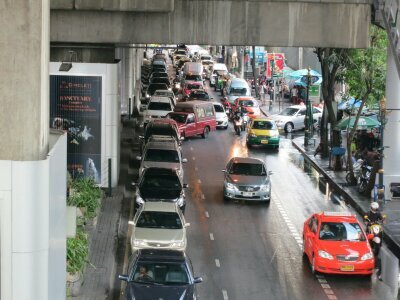 I don’t know if a return trip to Bangkok will happen but would be nice to see other places in Thailand. 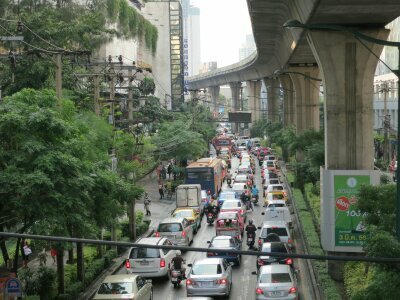 I won’t miss the traffic in Bangkok. One of the things Bangkok has lots of it tailor stores. I don’t know the quality of them but I have my doubts. 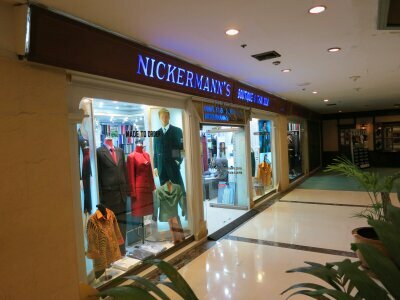 Before we left for Thailand we read about Nickermann’s tailors on the trip advisor website. It had very good reviews. When we arrived in Bangkok we checked where they were located and by pure luck they were on the street opposite our hotel. Julia purchased a full suit with pants and a skirt. I have enough suit jackets so I purchased some pants for work. For tailor made pants it cost me about $79 Australian per pair. Considering it can cost me around $100 for an off the shelf pair in Australia that doesn’t fit perfect I’m happy with my purchase.